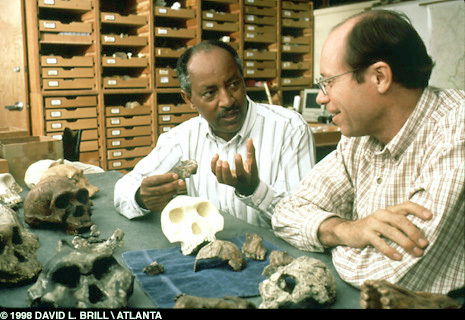 Tim White, "Search of Human Origins - Exploring Ethiopia's Afar"
Professor White, an anthropaleontologist, spends time looking for our most ancient ancestors. In the past several years, his hunt has been successful! Ethiopia's Afar Depression has been the focus of human evolutionary studies for over three decades. Fossils and artifacts found there have already revealed a long and rich evolutionary history for our species. The Middle Awash Research Project has produced many of the newest results and insights into the human past. This lecture will discuss these discoveries, reveal the processes that have allowed them, and examine their significance. Time Magazine recognized his find of Australopithecus garhi with a cover article. The professional press was, and continues to be, filled with documentation by Dr. White and his colleagues. They have been supported by major research grants and are on the leading edge in the study of human origins. Dr. White received his BS in Biology from the University of California, Riverside in 1972, his MB (1974) and his Ph.D. (1977) in Biological Anthropology from the University of Michigan, Ann Arbor. He joined U.C. Berkeley's Integrative Biology Department in 1995, arriving from the University of Michigan, Ann Arbor. He also holds positions of Research Paleoanthropologist and Co-Director, Laboratory for Human Evolutionary Studies, Museum of Vertebrate Zoology, U.C. Berkeley; Curator of Biological Anthropology, P.A. Hearst Museum, U.C. Berkeley; Consultant to the Oakland Zoo, African mammals and paleoanthropology; Member, Graduate Group in Paleontology, Department of Integrative Biology, U.C. Berkeley; Consultant, Centre for Research and Conservation of Cultural Heritage, Ministry of Culture, Ethiopia; and Research Associate, Cleveland Museum of Natural History, Ohio. He is a Member, National Academy of Sciences; received the David S. Ingalls Jr. Award for Excellence, Cleveland Museum of Natural History; is a Fellow, American Association for the Advancement of Science; and a Dobson Fellow, U.C. 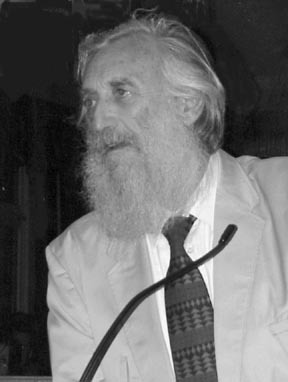 Berkeley (1995). 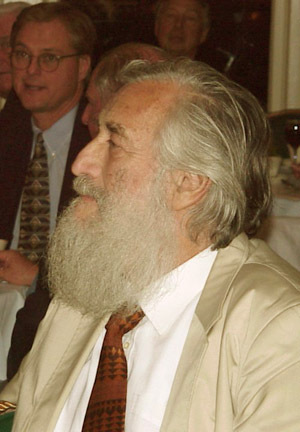 He has concentrated on physical anthropology, particularly human paleontology, in an extensive and richly published background. His books and monographs include Human Osteology and Prehistoric Cannibalism at Mancos 5MTUMR-2346. He has published over 75 other books and papers in the scientific literature.In February we learned about living ancients; now we step further back. The annual gathering of explorers and guests at the grand Waldorf Astoria celebrates the onset of the new millennium by honoring celebrated members so noted from the 20th Century: Neil Armstrong, Walter Cronkite, Daniel Goldin (NASA Administrator), Caroline Alexander, Conrad Anker, Sir Wally Herbert, Dr. Don Walsh, Colonel Joe Kittenger and Dr. Sylvia Earle. For years John Roscoe and Ron Reuther managed to gather a front row table for ten wild west-coast chapter members attending the Annual Explorers Club Dinner. I joined this elegant black-tie delegation, wearing all their metals of foreign wars and exploits, in 1979, for the three days in New York City. Annually since! Most of us have stayed at the Metropolitan Hotel (formerly the Loews, then the Summit), across from the Waldorf. Every time they changed the name they raised the room rates; a bargain at $167.00. We would gather in the lobby by 5:30 pm, and dash across the street, in driving rain or snow, to be first for the Exotic Hors D'Oeuvres. Tables of non-endangered offerings of alligator, scorpions, fried grasshoppers, (this year to include: fried tarantulas, mealworms, kelp, rocky mountain oysters, beaver, ostrich and bear!) are set under giant ice-carving centerpieces. Sampled with champagne, of course. Arctic tents, displays of treks, boats and auction items line four rooms. Last year my wife, Danielle, got carried away and won the bid for five days on an exotic houseboat in Kashmir. Little did she know that it is listed as a "war zone"! Come 7 pm, the bagpipers march through the rooms as a call to the feast. Two-thousand explorers find their way to place settings in the very elegant high-tiered ballroom. Halfway through dinner the lights dim and introductions begin, in front of a giant screen and surround sound. The Academy Awards could take a lesson from the staging: when Piccard, in '99, arrived after his trek around the world, a ceiling of balloons dropped, welcoming him, as the screen filled with images from his high risk flight. One year Antarcticist Norman Vaughn ran a sledge drawn by huskies across the stage. This year has a screening from the IMAX film on Ernest Shackelton's Antarctic journey, based on Caroline Alexander's "Endurance", plus a link to the Space Station, and another to Sir Arthur Clark in Sri Lanka. Jim Fowler will treat the assemblage to a good variety of animals, as usual. Not to be missed are the New Members Lunch, Saturday, nor the brunch and lectures at the Club House on Sunday. For the serious explorer, Friday is a day-long Chapter-Chairman's meeting and dinner. You can air your grievances, and come to appreciate the enormous amount of volunteer work that makes this wonderful organization run. Do join us this year; if not, in 2002. 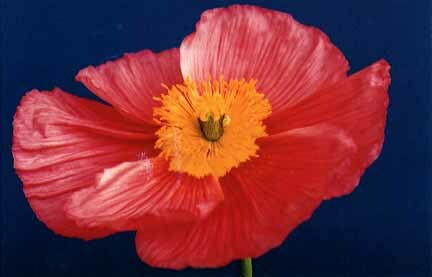 ECAD will be at the Waldorf-Astoria's Grand Ballroom, (Park Avenue at 50th Street, NYC), on Saturday, March 24, 2001. Black Tie, decorations or native dress. On February 23, an enthusiastic, ebullient Jean-Pierre Hallet held forth on his favorite subject: the Efé Pygmiesof the Mountain of the Moon region, the Ituri Forest of the Congo. For years he has been the champion of these people: he founded the Pygmy Fund, he developed a nutritious crop (the winged bean), he has worked tirelessly to prevent their extinction. Now there are less than 3000 total humans in this unique race of people! What is perhaps most remarkable is that scientific evidence confirms, using three independently derived methods, that the pygmies are a very ancient people indeed - perhaps antecedent to the rest of mankind. They have lived within their ancestral region for maybe 25,000 years! Our speaker related a few of his experiences from his time of living among the Efé to his current efforts to provide support. His slides were a beautiful glimpse into the calm demeanor of a people at ease with the nature about them and with themselves. They practice mutual respect, pay great attention to their children and have deep respect for elders, are free from crime and live a monogamous life free from adultery or divorce. A marked difference from their civilized brethren and, remarkable still, they are a culture apart from the corruption rampant in post-colonial Africa. They remain living in a manner close to that practiced for thousands of years. Jean-Pierre is trying all he can to assist them to maintain their lifestyle. The Pygmy Fund was started in 1974 - in San Francisco! The Fund, and its founder, have garnered many awards, including presidential recognition to end hunger. Established 'to save a people,' it quickly gained popularity only to have slipped from the consciousness of busy people. The need remains, and Jean-Pierre Hallet spends his time trying to keep anyone to whom he speaks aware of this way to help with medical and nutritional needs. Point people to http://www.pygmyfund.org/. Tropical Africa in general is a changed world. He has had two life-threats in his last visits: a kidnapping and being fired upon by children. These 'warriors' are too young even to understand the consequence of killing. The clash of the modern world and the Third World has taken a huge toll on the orderly governance of these countries. Any aid attempts are compounded by negotiations for bribes, passage, permissions and any effort to interact. It is difficult, even dangerous, to visit what was once his home. "Lest we forget, these peoples represent the living origin of humanity!" An eastern-California/Nevada meeting is fast becoming an annual event! This year 45 members and guests arrived at the Nugget Hotel on February 3rd for dinner and a presentation. It was a joint meeting with the Andean Exploration Foundation. Alan (E-67) and Ann Hutchison made the arrangements; a hearty thank you! Gene Savoy (FE-69) provided everyone with a fun evening as he discussed his life and several of his expeditions. 1957 was the year he was first introduced to exploration. That was the year he gave up his job on a newspaper in Oregon and went to Peru to be the cameraman on an archeological expedition. Although the expedition was cancelled, Gene was intrigued by Peru and by finding the lost cities of the Incas. It was his theory that the Cuzco Incas were just one part of a civilization that originally occupied the tropical rain forests. He returned many times to Peru, traveling east and following river channels into the tropical forests. On an expedition in 1964-65, he discovered Vilcabamba, the Inca's last refuge from the Spanish, and the Gran Pajaten, in the northeastern jungle of Peru. He employed a variety of research modes. He first discovered Pajaten by air and, from this vantage, could see the burial areas carved into the sides of limestone cliffs. He discovered other sites on foot - using machetes to open up long-neglected trails that paralleled the river banks. At an Explorers Club meeting in New York, Gene was questioned about his research techniques. He sensed that several members were skeptical about his claim about following ancient foot routes through the jungle. One of the more elderly members pounded his hand on the table and thundered out, "Goddamn it, that's the way we did it in my day!" That came from Julius B. Bird, and in 1969, Gene became an Explorers Club Fellow. Gene Savoy talked too about his sailing adventures. One of his early voyages was on the Feathered Serpent I, with Charles Kuralt, to explore some of the eastern Pacific trade routes between Peru and Mexico. Many years later he built a 73.5-foot long, mahogany-wood double canoe, following the same design as he used on the first Feathered Serpent. In 1997, he sailed the Feathered Serpent III to the west, following ocean currents and using celestial navigation. After 37 days and 6,000 nautical miles, he reached Hawaii. He proved that the ancient Incas could have used these sea routes for trade and exploration. Gene finished his talk by giving us a glimpse into some of his plans for the future. They are varied- just like his past. He has several film projects pending in Peru; he is writing an autobiography; developing a biblical history and archeology for Israel; and continuing to have fun. Please note venues with care. They sometimes change, but the most recent is accurate! For example, the March 30 meeting is in SAN FRANCISCO! Fred Pough (FN'45) reported that he was doing well and glad to be at another Explorers Club dinner. Sparks. Elgen Long (FN'72) spoke of his work to locate Amelia Earhart's plane and of recent opportunities provided by Explorers Club contacts to work with Scripps Institution of Oceanography on mutual interests in exploration. Sparks. Bill Isherwood (FN'70) introduced his guest, prospective member Rick Blake. Rick was trained as a petroleum geologist and is now involved with environmental clean-up and site remediation. He described a meteorite crater he discovered a few miles southeast of Sacramento. Impact occurred in the Miocene, and the kilometer-diameter outline lies about 2,500 feet below the surface. Modern seismic modelling helped. A lot! Doug and Rosemarie Twinam (MN'90 both) are soon departing for Nepal to study the Beasts of Bardia, huge Indian elephants. They have made some thirty trips and gathered 50,000 slides of elephants around the world. Rosemarie is the Chair of the Southern Florida Chapter. Olaf Malver (FN'92) is developing ecotourism in Guiana. He also recently returned from an exploratory trip to Tahiti. As a new type of adventure, he and Maria Martin are planning to get married in June. Joe Rychetnik (E'67) regaled with a few stories of past ECAD's where the then all-male organization imbibed and traded tales into the night. So long as they could. Harry Hicks (MN'87) introduced his guest, Professor Carolyn Zaboni. Prof. Zaboni was in Vietnam recently and saved thousands of books from destruction. Now she and Harry have been assembling crates of books to send there. Ed Ross (FN'79), a naturalist and entomologist, has been gathering samples in the dry regions of NE Brazil. It is very difficult now to bring exploration samples out of the country because of paperwork and government restrictions. Could prohibit exploration. Not like Darwin's time! The pygmy lecture brought back Ed's happy memory of 327 days camping in Africa! A real bug safari. Mort Beebe (FN'78) thanked those present for their strong support to place him on the Explorers Club ballot this year. But time was too short. He also urged attendance at ECAD for the whole experience. Mike Diggles (FN'92) spoke of Fred Pough (see his comments next month) and a new USGS CD Mike has available on safety while measuring streams through ice cover; useful for ice fishing as well as hydrology! Just ask if you want a copy. Bob Schmieder (FN'86) introduced Jean-Pierre Hallet stating that the explorer and author had been a mythical hero of his since reading Pygmy Kitabu as a teenager. He was delighted at making his mythology tangible! Joan Linn Bekins (FN'86) reported she spent six weeks exploring Melanesia by boat from PNG to New Caledonia, on to Fiji and by sail to Tonga's Vava'u Islands. A highlight, she said, was to hike up the slippery layers of black ash to the top of Mt. Yasur, an active volcano on Tanna in Vanuatu. A volcanic buff since childhood, Joan stood on the rim of the crater in a pouring rainstorm. At the time, the volcano erupted, throwing globs of molten lava high into the air to fall back into the crater. When not erupting, this active volcano seems to breathe deeply, like a snoring giant, exhaling clouds of gases. There is an article in the November 2000, National Geographic Magazine about a group who rappelled into a crater on nearby Ambryn Island. I thought you and the other members of the chapter would like to see some pictures from my Fulbright year in Egypt. THE EXPLORERS CLUB HEADQUARTERS IS ACTIVE! Executive Director: Captain Stephen Nagiewicz (FR'95) has been appointed the club's executive director. This is a newly established position within the organization. Steve was formerly the chapter chair from Philadelphia and served briefly on the Board before taking this new role. He reports directly to the president. ECAD and the Silent Auction: Seats are still available for ECAD 2001. One of the biggest fund raisers for the ECAD weekend is the silent auction. Steve Nagiewicz is urgently seeking tax-deductible donations of artifacts, maps, signed books, expedition materials or other auction items. Both Marisa Collazo and Steve can be contacted at the headquarters: (212) 628-8383. Chapters' Meeting: The day before ECAD, the club holds a meeting of all chapter chairs. One major topic for this year will be "What are members, particularly non-resident members, getting for their dues?" Lesley reports she will be attending this meeting. She will offer her own opinions and comments resulting from conversations she has had with chapter members. You get the general idea. If you cannot contact someone that you want, call Lesley. She will search the list for other @explorers.org options. The NEEC Program Chairman, Mark Allio, welcomes members of the Club to their lecture meetings, held at the The Union Club, 8 Park Street, Boston. The meeting fee is $10 to defer the venue cost. A cash bar is available from 7 pm and the lecture is at 8. Friday, 9 March at 8.00 pm, The USS Monitor, with David A. Mindell The USS Monitor battled the CSS Virginia (originally the Merrimack) in March of 1862. You will hear a brief history of the Monitor and life aboard the ironclad ship, sometimes called the "iron coffin". Dr. Mindell is Associate Professor of the History of Engineering and Technology at MIT and author of the recent book: War, Technology, and Experience Aboard the USS Monitor. Over the last several years, Prof. Mindell has been instrumental in the development of the new field of Deep Sea Archeology. Short notice! PGS welcomes members of the Club to their lecture meetings, held at Skilling Auditorium, Stanford. The meeting is free; a dinner is held before at Mitchell Building. Contact Mike Diggles with any questions. Many of our Nevada and eastern California members, as well as some adventurous Bay Area members, shared a wonderful evening in Sparks. Alan and Ann Hutchison did a wonderful job coordinating the meeting and making it the fun event that it was. I'm sure that everyone joins me in thanking the Hutchisons for offering their time. I've been getting a lot of mail recently from the New York office, and I am not sure how much of this is due to my new role and how much is due to the new outreach efforts from the club. You will find a summary of the things I've gotten on page 4 in this month's newsletter. If you want more information, just ask me. I will be attending the ECAD and the club meetings that occur surrounding this delightful event. If you have opinions you would like presented, please contact me with details! The sooner the better! Finally, I'd like some comments on our summer finale meeting, normally scheduled for June. For the past few years, we have had a picnic on Angel Island- with folks arriving by kayak, ferry and private yacht. If anyone has another idea for a summer fling, please let me know what you have in mind, and we'll see if it can happen. Enjoy your explorations and, if you do not have time to drop in at a meeting, send us a letter or e-mail about your latest trips and discoveries. Newsletters have long been a staple in communication with the members and friends of The Explorers Club. About ten times a year you receive this one. The national office distributes a newsletter to all members quarterly. In addition, we get the marvelous Explorers Magazine. The invitations to join Explorers travel might be considered additional printed ways to keep in touch, with their lush photographs and enticing trips. All of these ways welcome your participation. It may take some effort on your part, but the readers are appreciative. Your chapter newsletter invites submissions for publication by its members. They need not be long; they should be directed to your explorations or a matter of interest to your fellow members. Why did you go where? What did you do, find? What did you find of interest in another organization that impacts upon the Club? It has been suggested that we incorporate book reviews. This is a good idea, especially with the comments and observations of the member. What are you reading these days? Any submission can be sent to me at lee@langan.net. If you prefer mail, use 2660 California Street, San Francisco, 94115. Now here is an administrative question: Who would prefer to receive this newsletter electronically? I prepare a PDF version for our web site, and it could as easily be emailed to you days before the manual tasks of printing, collation, folding, labeling, stamping and stapling- and the two trips to the post office (for stamps and to mail)- are complete. If you do want this service, just email me. I will then use the email address you provide until further notice. Fred Jacobsen (MN'83) died recently. Fred was a ship captain who sailed or steamed for a living and a career. He had skippered the Sea Cloud, among other assignments. He also was Captain of the Liberty Ship Jeremiah O'Brian after it became a floating museum. For a time he was the Executive Director of the Maritme Museum in San Francisco. $45 per person if postmarked by March 15. If reserving after March 15, please call Steve Smith at 925-934-1051.